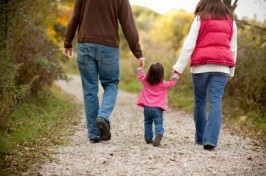 Families Forward are dedicated to helping parents and children cope with the aftermath of separation and divorce. Our expert team of social workers and experienced project workers have many years experience in helping children maintain their relationship with the parent or relative who does not live with them. All our staff are trained in working with parents and keeping them and their children safe. They are highly skilled in helping parents overcome their difficulties and anxieties and helping them help their children through a very difficult period in their lives. We offer a range of services to families undergoing stress or experiencing breakdown. Our main service is helping children to cope with the impact of family breakdown, caused by their parents’ separation or divorce, and we offer a range of services to enable children to have contact with a parent in a neutral and relaxed environment. For more information please click the link below. All enquiries should be directed to our Leeds Centre on 0113 235 9322, or office@familiesforward.org.uk. Our telephone is answered from 9.00 am – 1.00 pm Tuesday, Wednesday and Thursday. At all other times, please leave a message. Please note all our staff are part-time and are not available everyday. Please see the link for your Centre for staff availability.